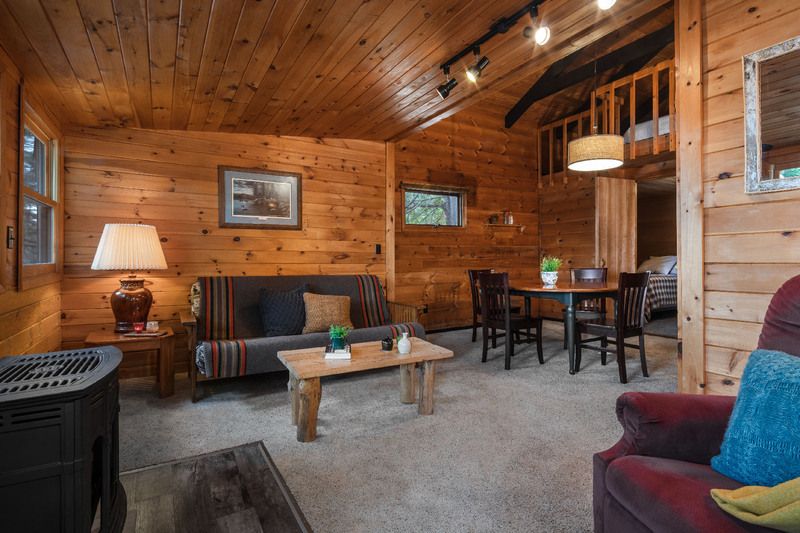 A larger cabin (base rate is set for up to 3 people, and the cabin has room for up to 8) with both an upstairs and main floor, two beds upstairs and two in a bedroom downstairs. 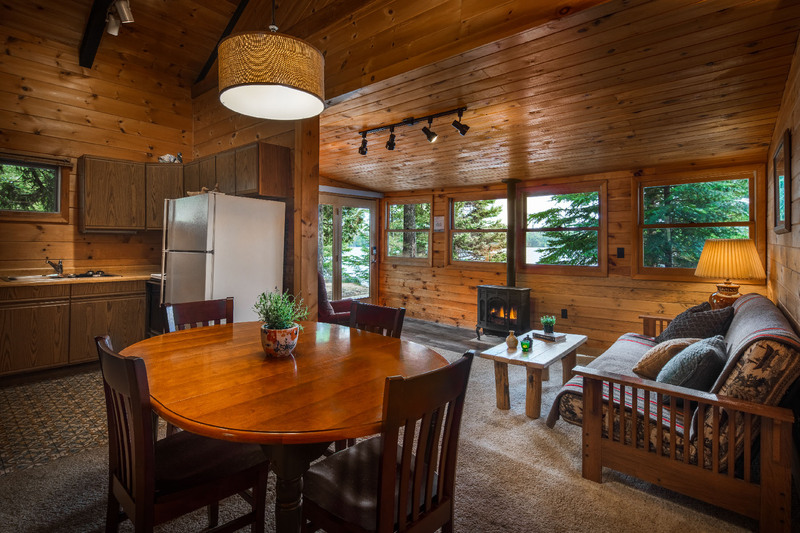 A large living area and an outdoor firepit makes this a favorite cabin of many families. Open May through October; see availability calendar at the bottom of this page. 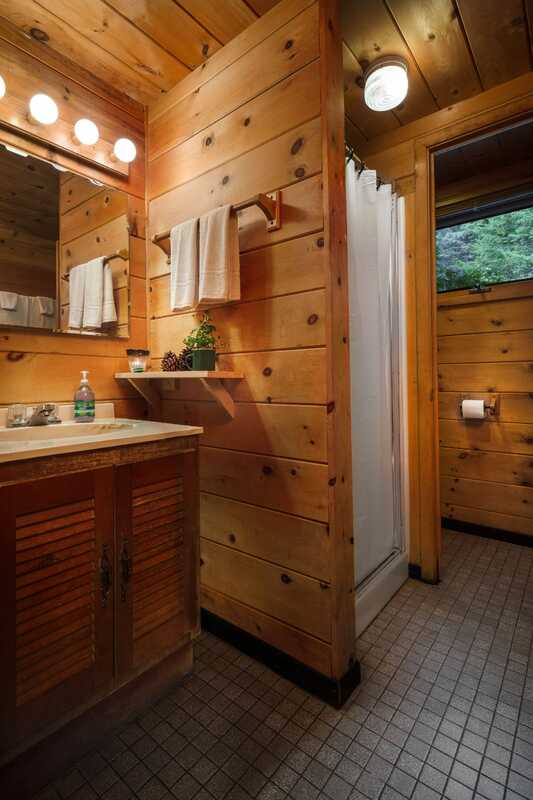 As with all our cabins, you get a canoe, charcoal grill, picnic table, full kitchen, bathroom, fresh linens and towels. The kitchen has essential cookware / cooking equipment, fridge, stove, microwave, toaster, coffee maker, dishes and silverware so you can just bring your food. Or better, enjoy one of the great restaurants that the Gunflint Trail has to offer! Please check in no earlier than 3pm (bunkhouses and cabins). Please check out by 9:30am (bunkhouses and cabins). Additional aluminum canoes with cabin rental are no charge; Kevlar canoes are half price of the daily rental price (Tandems half price is $23/day). Kayaks and standup paddleboards are available at no charge on a first come first served basis; we ask you to return it to outfitting when you are not using it. Motor boats are also available, just ask! 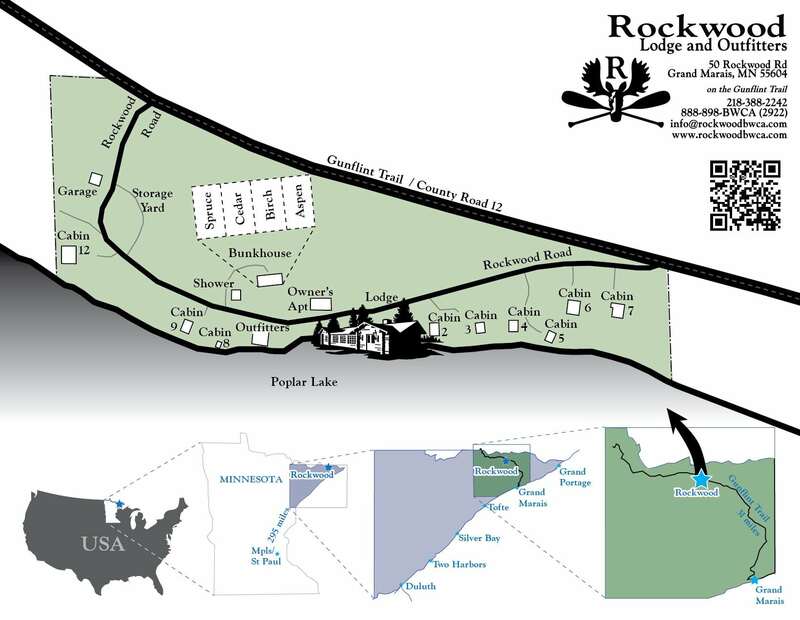 To make a reservation fill out the calendar below, call us at 888-898-2922 or 218-388-2242, email info@rockwoodbwca.com or facebook message at Rockwood Lodge and Outfitters. 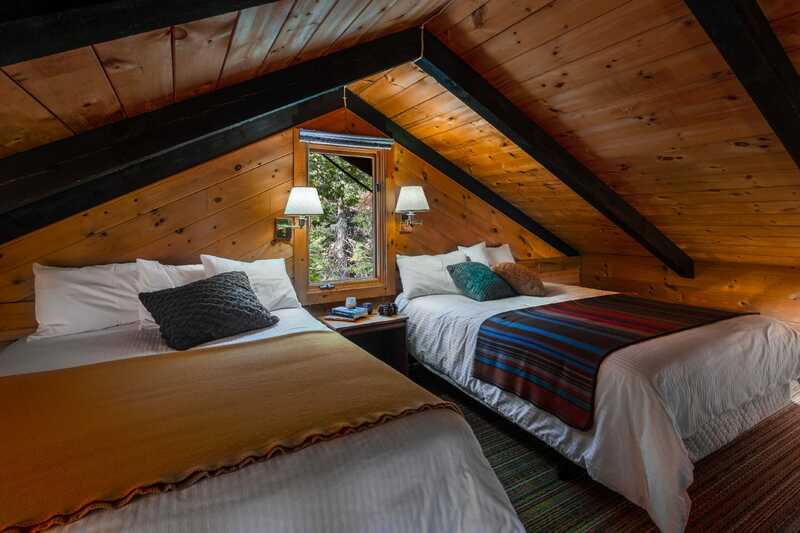 Minimum two or three night stay in our cabins (consecutive nights!) 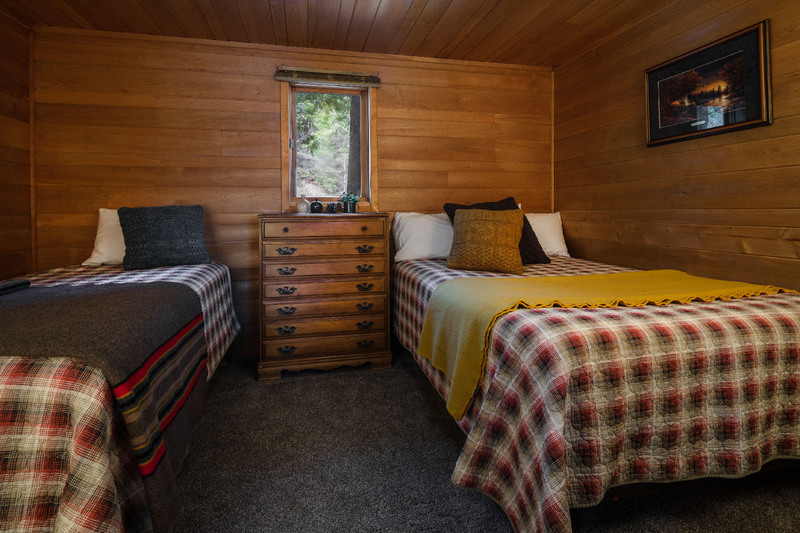 - for single night stays, please reserve one of our Bunkhouse rooms. A deposit check of one-third of the total is required within 14 days of making a reservation. If cancellation notice is given 30 days prior to your scheduled arrival, your deposit will be refunded minus a $35 service charge. We will send you confirmation of your reservation on receipt of your deposit. We accept VISA, Mastercard, Discover Cards, American Express, paypal, checks, and of course cash! Cabin 2, 4, 6, 7 and 12 the base rate is for 3 persons. Cabin 3, 5 and 9 the base rate is for 2 persons. Children 4-16 - $15 night or $75 week. No charge for children age 3 and under. Cabins 2-9 have a 2 night minimum. 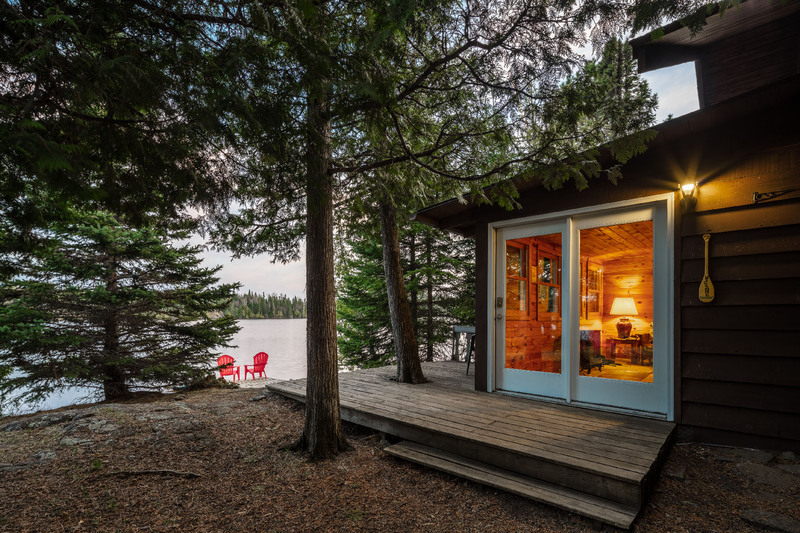 Cabin 12 has a 3 night minimum; Winter a 2 night minimum. Tip: Click the first night, let go, then click the last night. If the dates are blue, you can continue with the form below. Type a Message below; any pets? # of kids? # of adults? Questions you may have?